In a distant future, Andersen's Fully Autonomous Networks (AFAN) is a successful robot manufacturer and has been for several generations. For their newest model they've taken design inspiration for the 20th century gas pump. Its utility is quite similar - to charge nearby units with its revolutionary nano-scaled TOKAMAK fusion reactor. However, this particular unit has a reactor cooling system malfunction and is ready to go nuclear at any second. Navigate to safety without killing any humans. AFAN has strictly implemented Asimov's laws on robotics and any robot breaking the laws will be hacked by the nearest Bomb Shelter™ and promptly destroyed. The updated version explains in a more directly how valued human life is, and the importance of our reputation at AFAN. This will hopefully alleviate the confusion some robots felt about the inevitable doom in the Bomb Shelters™ upon causing a single casualty. 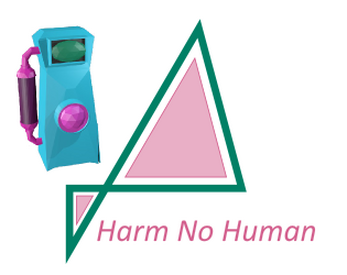 We take "Harm No Human" very seriously.